The example sends and receives CAN bus frames. Incoming frames are ordered according to their type. 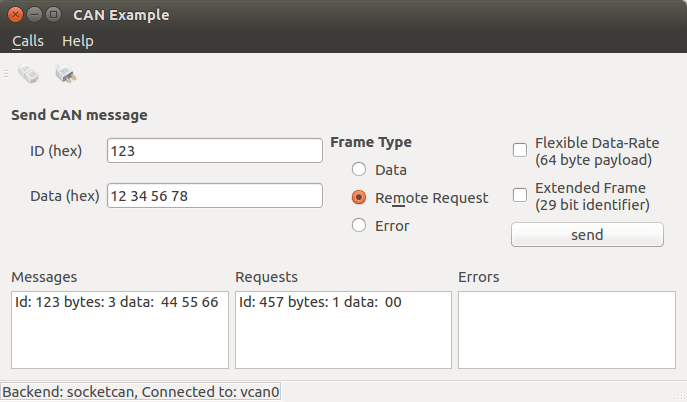 A connect dialog is provided to adjust the CAN Bus connection parameters.